Why is summer a good time to move? Summertime moving is a great choice because the weather is warm and dry. And we all know that moving in this period is certainly much simpler and more enjoyable for almost everyone. Warm and dry weather guarantees that your personal belongings won’t get wet, moldy or frozen. This aspect is especially important if you are transferring antiquities or expensive electronics. 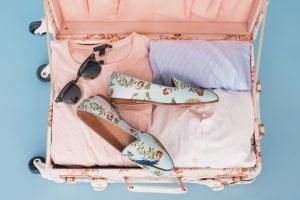 But what moving preparations will make your relocation more effective and what are the dos and don’ts when moving in the summer? Start by creating a plan and calculating your relocation budget. Having a straightforward timeline will help you stay focused and organized. Relocating requires a lot of time, so make sure to start a few months ahead. Never postpone tasks to ensure smooth summertime moving experience. Sticking to your relocation strategy will ensure you don’t make any mistakes that can cost you a lot of time and money. 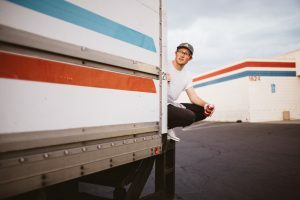 Weekends and the ends of the month are the busiest times of the summer to move, but there are some dates that should be avoided at all costs, such as – Memorial Day Weekend and the Fourth of July. Moving house in the summer requires a lot of flexibility, so make sure you don’t lose nerves at the very beginning. Plan everything in advance, so you can relax in the warm weather after relocating. When you want to relocate in the summer, it is very important to book a moving company on time. Start your search, and stay patient. Consider booking movers as early as possible. Open your internet browser and ask your friends for references if you want to make the perfect choice of moving companies. Schedule an appointment with the estimators, and begin the relocation process. Get quotes from multiple moving companies to get the best deal. Ask a plenty of questions, and don’t be shy to negotiate the price. Inform yourself about insurance options and service packages before signing any documentation. If you choose to pack your valuables all by yourself, make sure to do it well. 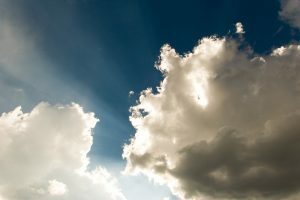 You may have to do a little research on which objects are sensitive to dry air and hot weather. Some of these items will need to be transferred in a different manner. But, the best way to relocate your personal belongings is to identify a professional moving company to take care of everything for you. Every moving specialist knows how to pack objects that are being transferred in this period. And believe us, summertime moving can cause a lot of trouble if your valuables aren’t properly packed. You don’t want your stuff to end up damaged or destroyed. Don’t forget to breathe. Summertime moving and heat can be dangerous if you don’t take care of yourself. Especially when you exert a large amount of energy and you don’t take breaks for a long time. Stay away from dark and heavy clothes. Make sure you drink enough water and eat enough. When you start feeling tired – take a break. Use a sun cream and don’t let your skin burn. Your health should always come first, even during the summertime moving. Pack your suitcase and start your summertime moving adventure! Never overestimate yourself – no matter the area. If you think that you have too much time on hands – you don’t. If you think that you can stay outside for a whole day in extreme heat – you can’t. Make sure you stay realistic. Keeping it real will prevent you from making mistakes that usually can happen during the summertime moving – and believe us – you want to prevent disasters from happening. It is time to purge your home. Moving everything to the new address doesn’t make sense, so make sure you declutter your house before you start packing. You can sell, donate or give away some of the unwanted items. It is really your choice, but whatever you do – try to say goodbye to as many items as possible. Start eating all the frozen foods you have. This step will reduce the cost of your summertime moving project, and it will make it a lot easier for you. Transferring too many items doesn’t make sense. Purge your house before packing, and you will save a lot of time and energy. Relocating to a new address isn’t simple, and it is very important to make it as easy as possible for your kids and pets. Include your family members in a decision making process. Other people’s points of views will help you make all the right moves, and it will also make the adjustment period much easier for everyone. Summertime moving can be especially stressful for your pets, so make a plan how to protect them. It might be a good idea to hire a pet sitter. There are many options you should consider, but – you know your pets and their temperaments the best. Summertime moving can be easy, but you will have to get organized. Making the right choices will save you a lot of time and money, so do your research and start preparations on time. Never postpone tasks to avoid making mistakes. Include your family members in this process to make it easier for everyone. Try to stay as flexible as possible. Be patient, and everything will work out just the way you wanted. Take care of yourself, and don’t put your health in danger. If summertime moving seems like an impossible task, try to find the right mover. A professional moving company will take care of your moving process, so you can relax and focus on other matters. Remember to stay positive, and good luck!